A hall was erected by voluntary subscription to commemorate those from the district who served in World War One. It was opened on the 21st December 1921. 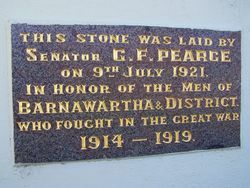 On Saturday afternoon last the foundation stone of the new Soldiers' Memorial Hall at Barnwartha was laid by Senator Pearce, Minister of Defence, in the presence of a large gathering of local residents. The scaffolding at the front of the new building was tastefully decorated with bunting and wattle blossoms. 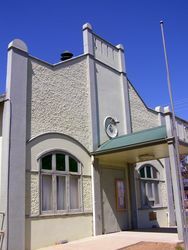 The new hall is situated on an admirable site in the centre of the township, at the intersection of the main Sydney road and the Indigo and Valley road. The land was a free gift to the committee from Mr. William Ryan, of Barnawartha, and was a noble and generous one. The new hall when completed, will be a most commodious and imposing structure, with large main hall, committee rooms and every requisite convenience. The building is being constructed entirely in reinforced concrete from plans prepared by Mr. McKnight, architect, of Rutherglen, and the work is being carried out by Mr. Jas. Scott. Wodonga and Towong Sentinel (Vic), 15 July 1921. 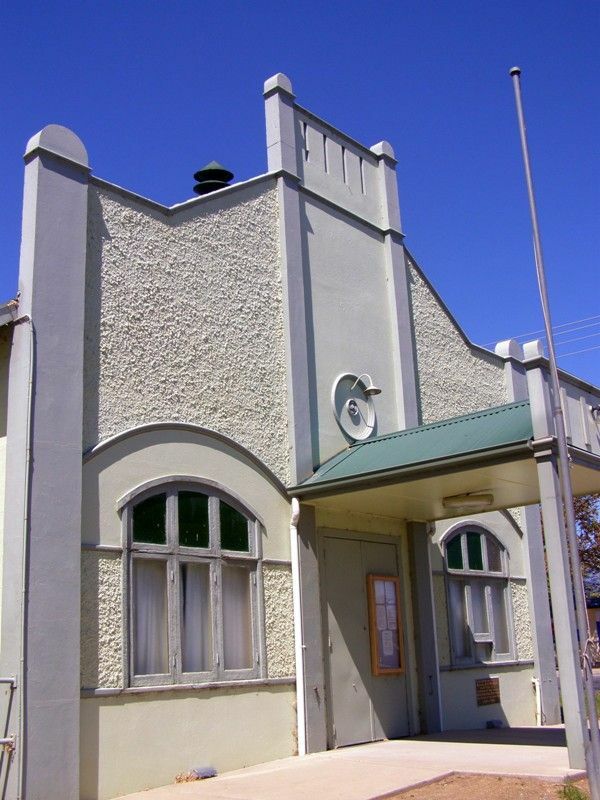 What promises to be a "red letter" day for Barnawartha is the opening of the Soldiers` Memorial Hall thereat on Wednesday next. The building, which is a credit to the town and district, is situated nearly opposite the business premises of Miss McNeil, and was erected entirely by voluntary subscription. Wodonga and Towong Sentinel (Vic), 16 December 1921.